Hi Friends! Welcome back to the blog. 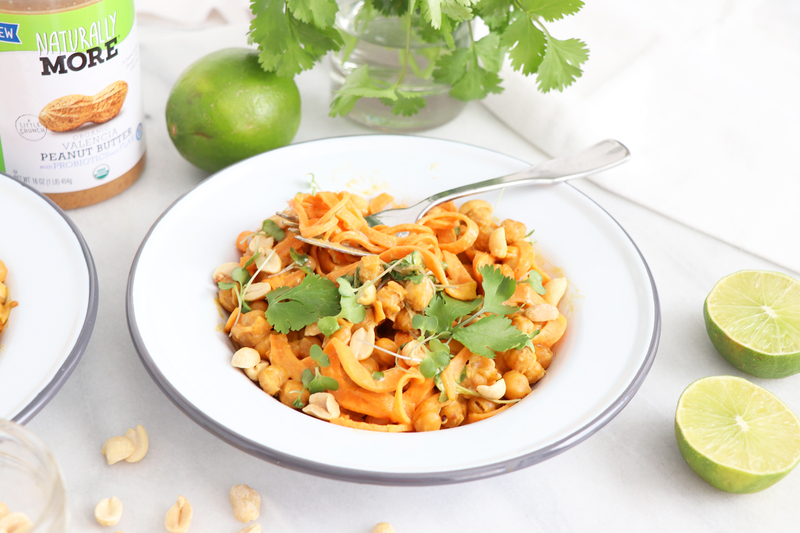 Today I’m sharing how to make Sweet Potato Noodles with a Spicy Peanut Sauce. This dish is gluten-free, vegan, full of veggies, protein, fiber & flavor! 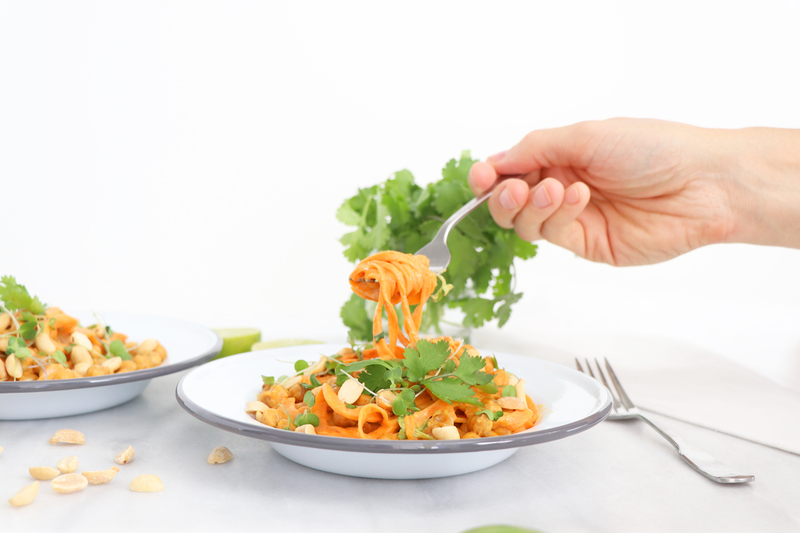 This recipe is great for lunch or dinner & can be made a head of time! I love that this dish can also be enjoy hot or cold, whichever way you prefer! 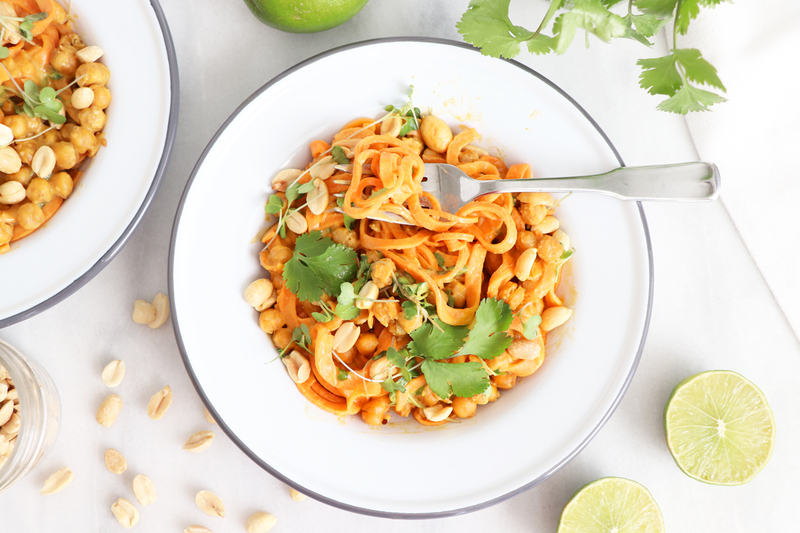 Then make the Spicy Peanut Butter Sauce add the Naturally More Valencia Peanut Butter with the coconut liquid amigos, lime juice and sriracha and stir until well combined. Next, peel & remove the ends of the sweet potatoes, then spiralize into noodles. Cook with the lid on for 5 minutes and then, stir everything together. Continue cooking with the lid on for 10 mins. Add into a bowl with the crispy chickpeas and micro greens and mix together. 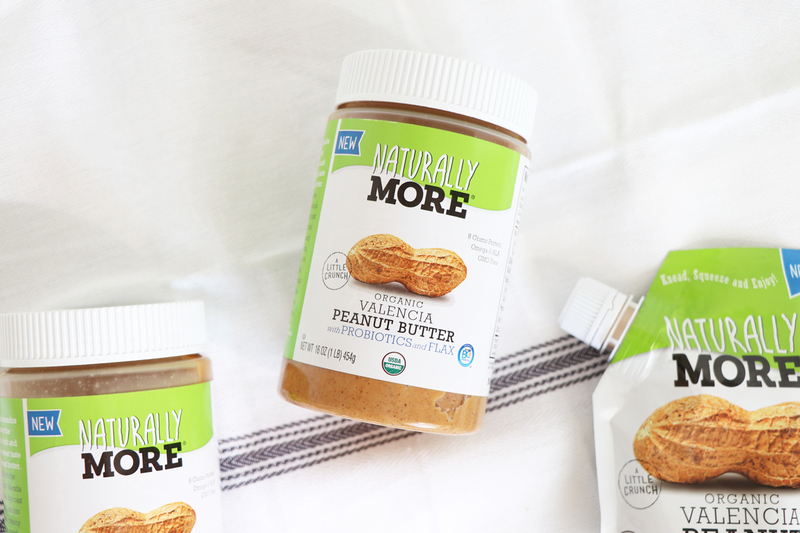 A great spread on apples, bananas, protein bars, in recipes like I’ve shared today…or straight from the jar on a spoon! 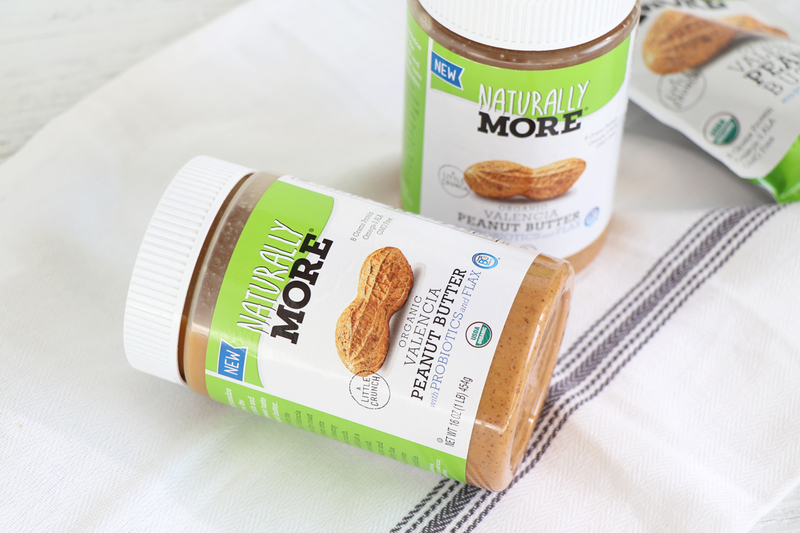 Disclosure: A big thanks to today’s sponsor Naturally More. Sponsors make it possible for Healthy Grocery Girl to provide recipe blog posts & videos that are free for our community to enjoy. We only partner with brands we genuinely love, personally use & are excited to share with our community.